If I could stay in a bathrobe all winter long, I would. Unfortunately, there are work days, holiday parties, and a whole host of occasions where it's socially unacceptable to arrive wearing a terry cloth getup. Thankfully, designers have used the robe style as an inspiration for some of the season's best coats. I don't mind wearing trendy piece from the high street brands and worry less about quality because I cycle through them so quickly. But the coat is one of the few things I can't sacrifice quality for. It gets seriously cold in New York! So, a brand that offers good quality coat at a reasonable price is hard to find. If you remember I reviewed coats from a brand named Quaint last winter (here). I loved their oversized coat from last year and am still wearing the camel coat this year. This Blaire grey coat from them this year is another gem! 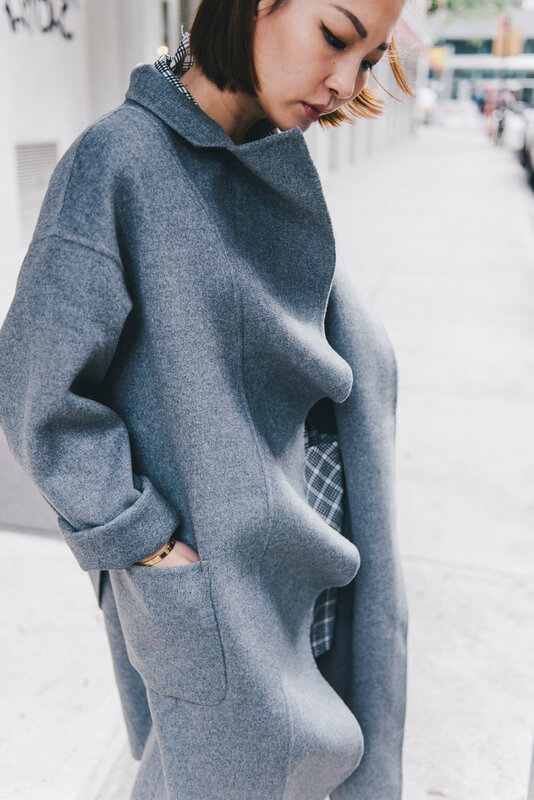 I love the oversized robe wrapping style with the asymmetrical lapel. Its natural color matches every outfit. 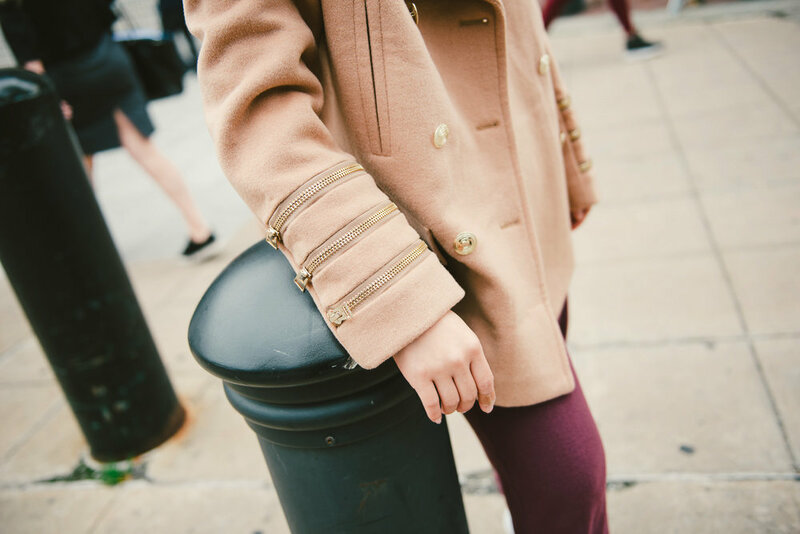 This short beige coat is full of character, especially those super-sized zippers on the sleeves. The material is thick and structural.